Sonny Vu loves batteries. You can read his Twitter profile if you don't believe us. After listening to him talking about them during the first 15 minutes of our interview with the CEO of Misfit, Wareable is somewhat of a fan too. “It's a surprisingly untouched space,” he explains with an enthusiasm that lasts throughout our conversation. It might sound like a quip, as do many of his statements, but the sense of grand vision within is no laughing matter. 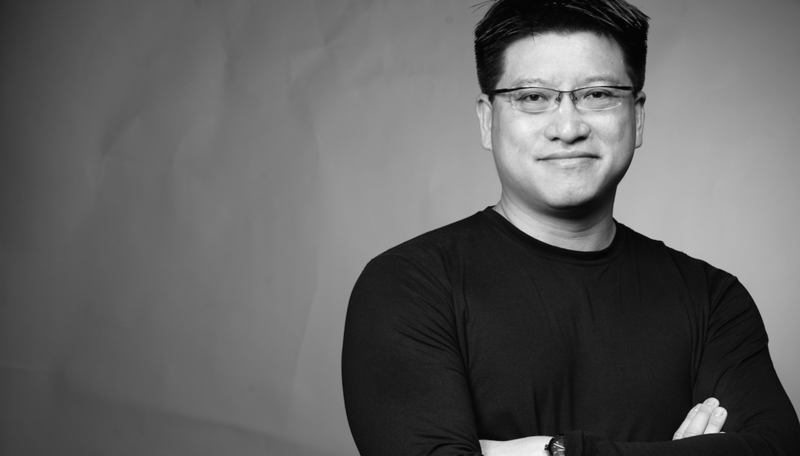 Vu’s electro-chemistry roots come from his time as CEO of AgaMatrix, a consumer healthcare company that he founded in 2001 and where he helped to create the world’s first iPhone-connected medical device. He describes the battery conundrum as a “skinless cat” which we presume refers to the fact that there are no entirely effective ways to go about solving it. Better battery density doesn’t exist, so your only other options are to use less power - either through low-voltage circuitry or user behaviour - or get on-device software to manage its own power usage more efficiently. Alternative energy generation would be nice - biothermal, kinetic, electromagnetic and so on - but it’s too big, too expensive and not power dense enough to bother with anyway, so we're told. “Power is probably the single largest engineering challenge for the world of wearables and connected devices,” concludes Vu after his whirlwind battery tour. It’s unsurprising, then, that Vu’s favourite feature of Misfit’s multi-award-winning Shine activity tracker is that you never need to plug it in thanks to the standard watch battery that lasts up to six months. All the same, it’s a battery life he describes as “so short” because it doesn't have a button. Instead, Shine has a sensor that runs on standby waiting for your touch at all times and using “an enormous amount of power”; a rueful concession the CEO has had to make for the sake of aesthetic design. Without a hint of modesty but, granted, with a great deal of accuracy, Vu hales Shine as “a kind of best looking wearable device out there”. Its 3.3mm profile and minimal 9.4g form factor give it the kind of flexibility for it to disappear for those who’d rather not be seen sporting a tracker. You can wear it in six different ways including as a necklace, in your pocket, on your shoes or even in specially designed socks; but that still isn’t a light enough touch for Vu’s ideals. Formed on the day that Steve Jobs died, and co-founded by former Apple CEO John Sculley, Misfit’s name was inspired by the famous 'Think Different' campaign from 1997 but the comparisons are more than just marketing fodder. Both the alternative take on the activity tracker concept and its premium aircraft grade aluminium construction are incredibly Apple-esque and Vu’s charismatic fanaticism, quest for perfection and occasional contempt for the competition makes for more than passing resemblance to Jobs himself, but the Misfit man brushes off the analogy. One of the class-leading features of Shine is its abilities as a sleep tracker. Unlike its rivals, you don’t need to tell it when you’re nodding off and when you’ve woken up, and it’s something of which Vu is immensely proud. The clever part is the algorithms that make it all work. It can record the difference between deep and light sleep, and it knows when it’s being kept still on purpose and when you’re actually in an unconscious state. If Vu seems guarded about his company's sleep secrets, then it’s with very good reason. It’s become a tool with which Misfit can trade for an even more precious commodity than technology; one which can be the very lifeblood and inspiration of those innovations that keep this smaller company ahead of other gadget giants’ plays in the wearables game. What Vu wants, more than anything else, is data. “We’re making the science available to anyone. If you're making an app and you want motion tracking and sleep tracking, we will actually provide the algorithms to the people to do that. We're in one smartwatch now and going to be in half a dozen smartwatches by the end of the year. We even have activity trackers that are competitors to the Shine that we're powering. “Different people want different things. Some people don't want Shine. We don't want to force people into that. Great. Buy the one with the gigantic screen. We don't care. We'll take that data too. For the other product maker, there’s an obvious, if short-term, financial advantage. Why bother throwing vast sums of money at R&D departments that might not even come up with effective solutions when there’s a pre-packaged bundle out there for free? But it’s that strategy that might play into the hands of a more forward-thinking, long game-playing company; one able to use the information to make wearables good enough to trump its rivals again and again. “With the data we can improve our science, we can provide insights, we can learn, we can answer questions we didn't know to ask. It's about having better data. Data from more people. Data from different locations. The aim, though, is not to use the data to rob humanity of its decision making. The lazy future where entertainment, meals and the like are chosen for us by a network of wearable sensors meshed with our previous known habits is not a vision which Sonny Vu shares. “People don’t want technology to filter their knowledge. It's more about making things easier. Please give me intelligent suggestions but I'd like to choose. There’s a more serious drive beyond Vu’s jokes, though, and one that shines through when we ask the simple question of why he does what he does; what it is that he really wants to achieve. “The world is vast. We’re nearly up to 8 billion people. If we're going to make an impact on humanity - really change the course, really do the things that are impactful - we need to make products that are available to people that will really do useful things; that will not just solve first world problems; that will really do things that people will need. “Unfortunately, we don't really know what those things are yet in the wearable context. I think we're far away from what those true use cases are, but we'll get there. Whatever happens, you can be sure that Wareable will be all over it. The wearable sector is the most exciting in the technology industry right now and we’ll be following it closely, every step of the way.